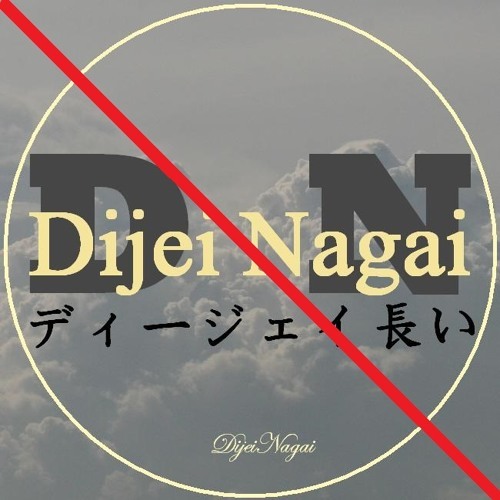 Dijei Nagai is no longer producing any music.. until further notice.. apologies to any "fans" that I may or may not have... big thanks to anyone and everyone who has shown support (however little or big).. currently.. other things in my life outweigh my passion for making new music... I do not see a possible return to music producing anytime in the near future.. BIG, BIG!!! thanks, kudos, props and mad love to: JC (aka Origami) ( @origami-edm) ( @origami-x) for all his continuous support and kind & wise words.. I would not be where I am musically without his help and guidance.. words simply can not ever express my gratitude for all that he's done for me.. also.. much gratitude and appreciation.. and huge thanks to Takuma Iwakawa ( @takumaiwakawa ) for the recognition and for putting out a lot of his time to not only listen, but to appreciate, sign and ultimately helping to release several of my Progressive House tracks onto his wonderful RockRiverRecords ( @rockriverrecords ).. he not only gave me full support but he also helped to musically inspire me and he also shared a ton of great, useful tools to better assist my music productions! and again.. no words could ever express my token of gratitude for all he's done.. I'd also like to take another moment to give thanks to my great friend Justin Ponce ( @kenmeccabeats ).. without him, I highly doubt I'd be here where I am with my music.. we both helped one another not only with music but also in our own personal lives.. I see him as a part of my family.. and even though due to his situations and having to move far away, our bond only grows stronger and stronger as the days go by. without him, Amp'd Helix Recordings wouldn't have been possible.. and I would have to say.. I owe it all to him... and lastly.. I'd like to thank all those who showed mad love and support... those including but not limited to: Noah ( @detroitraver ).. much appreciated for his constant support, shoutouts and features on his mix sets.. also to Gus (aka Drum And Bass Promo's) ( @slickgus ) and also to the "dnb ENFORCER" ( @dnb-enforcer ) for their support.. and of course.. much, much appreciated to all the true fans and followers and all those who has listened and supported my works! it all wouldn't be possible without all of your guys' help! @zoar: wow.. thanks for all your kinds words! much, much appreciated! @johnarn: really feelin' the overall vibes of this one.. it really "tells a story".. definitely deserves more attention! keep up the great work! damn that Tenth Planet - Walk On Water thoooo.. right in them feels..
@zainabdarong: Zaiiiiinaaaabbbbb!!!!!! thanks! much, much appreciated.. hope all has been swell with you! yea, the breakbeats really bring out the vibes.. really diggin' it..
@kenmeccabeats: sounds 1,000 times more epic with these breakbeat!! fucken amazing.... I love it!!! @masanoriyasuda: amazing job on the remix.. no words can describe how beautifully constructed this track is.. heard Shingo's original version a year ago.. and now a year later, this remix still manages to hit home.. thank you!!! I definitely did put some thoughts and emotions into this track.. it was my first attempt at such a type of beat.. glad you liked it.. much appreciated!! @joshpan: damnn that screwed Marvin Gaye tho... definitely hits home. thanks for the wicked beat!